Detail from 1966 newspaper ad. Along with the classic Carousel and Roller Coaster, bumper cars have been a fundamental element at Lagoon for several generations. First was the original bumper car, the Dodgem. Dates haven’t been pinned down yet, but it appears Lagoon first acquired a Dodgem ride in the 1920s and operated until the 1960s. Meanwhile, the Lusse Brothers of Pennsylvania had perfected a ride vehicle that was faster and easier to control than the Dodgem. They considered the lack of experience most of their riders would have and developed a steering system that allowed direction changes using only the steering wheel. 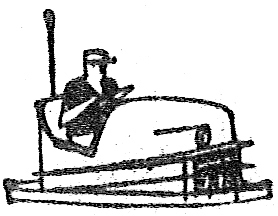 The brothers had started out supplying parts to Philadelphia Toboggan Company, but were soon very successful selling their popular Auto Skooters. Lagoon finally replaced their Dodgem with Auto Skooters in 1966. Located in the building where the Scamper bumper cars for kids are now, the new Auto Skooters were declared “faster, easier to drive and more fun” by Robert Freed in an interview with the Deseret News. 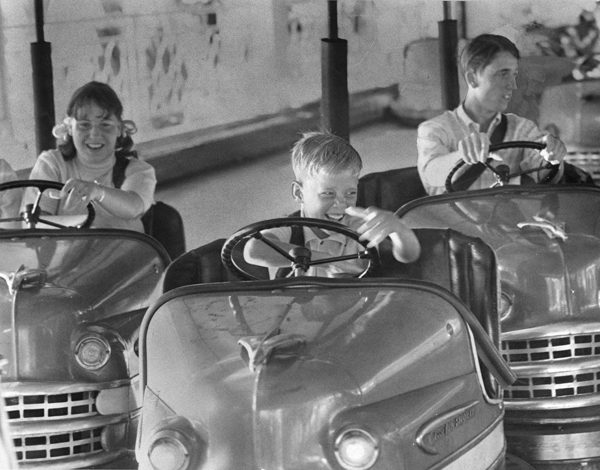 A few parks around the country have retained their original Auto Skooter rides, but as bumper car manufacturing became dominated by European companies, Lagoon replaced theirs in 1977 with the German-made Scamper and Boomerang bumper car rides. Fun Way To Picnic. Deseret News, 6 Apr 1966. Legend/History. LusseAutoScooters.com, accessed 12 Jul 2017.